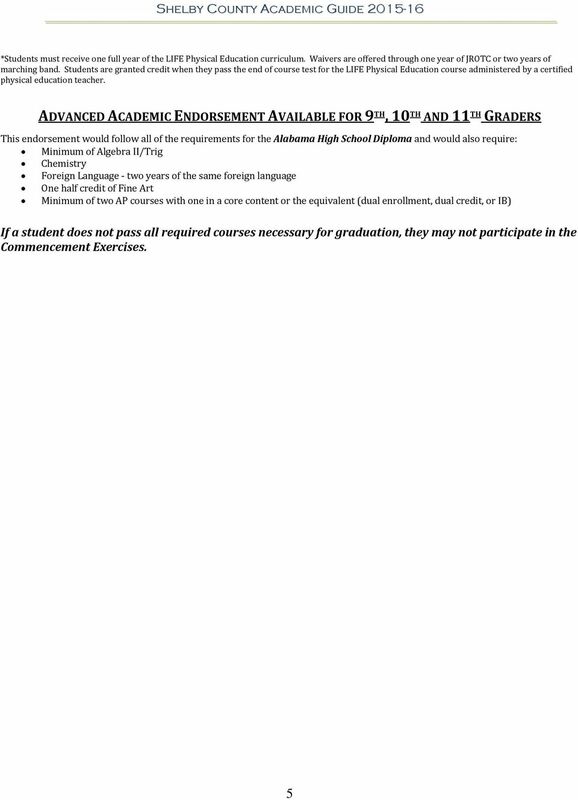 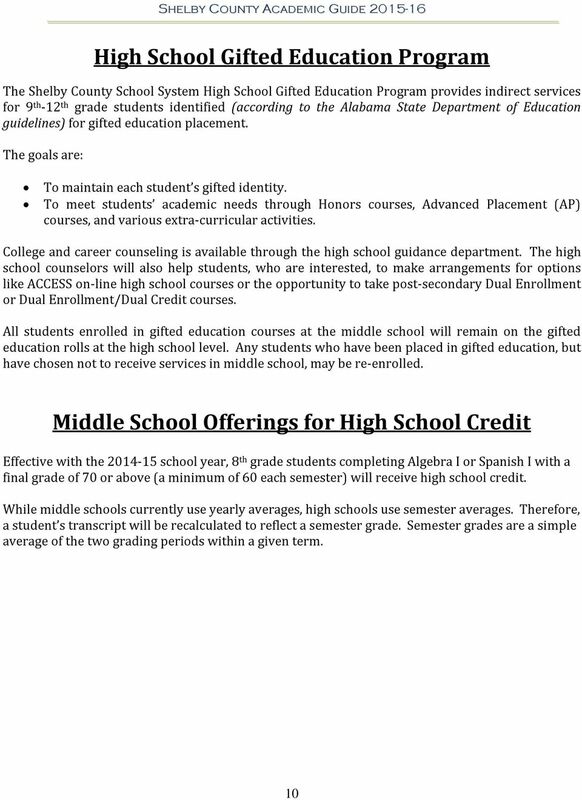 Download "High School Academic Guide. 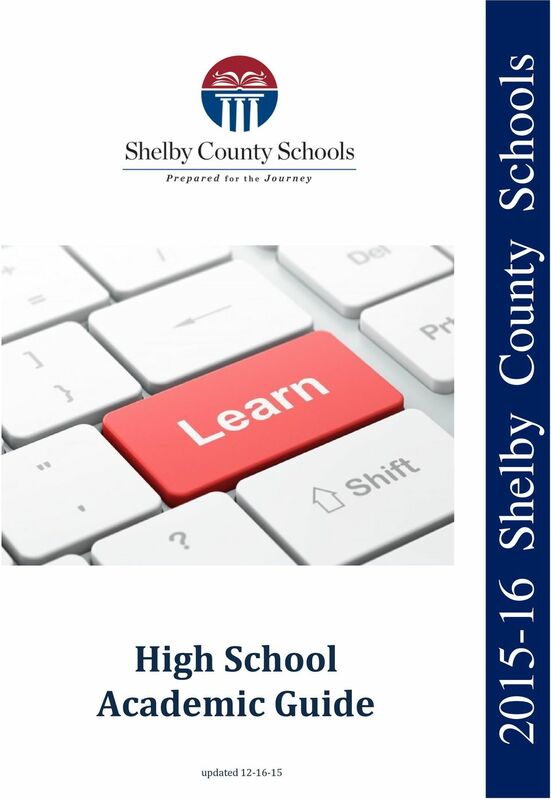 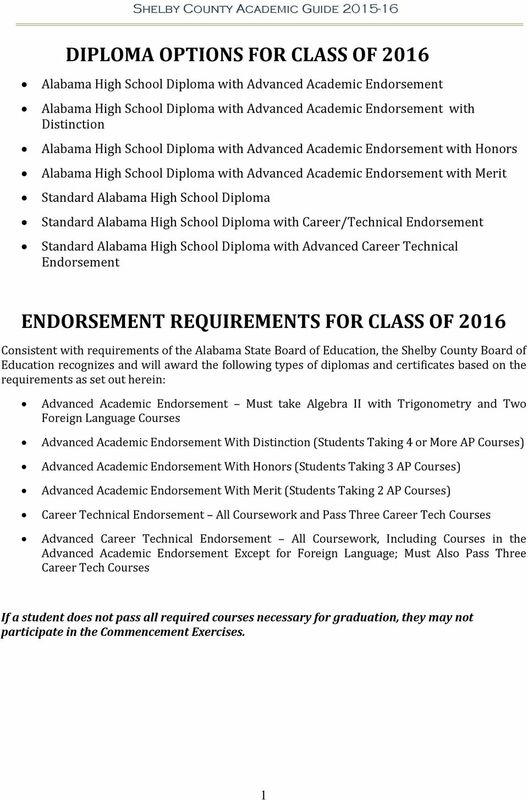 2015-16 Shelby County Schools. 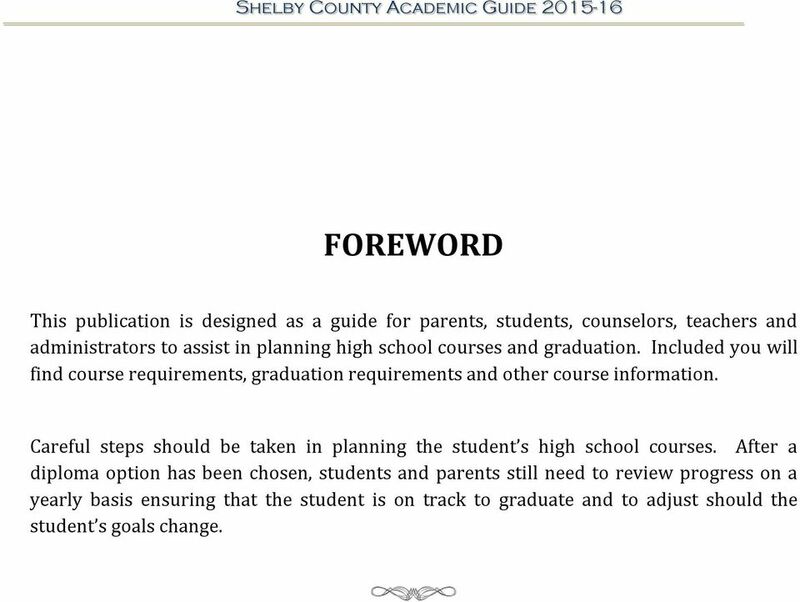 updated 12-16-15"
3 FOREWORD This publication is designed as a guide for parents, students, counselors, teachers and administrators to assist in planning high school courses and graduation. 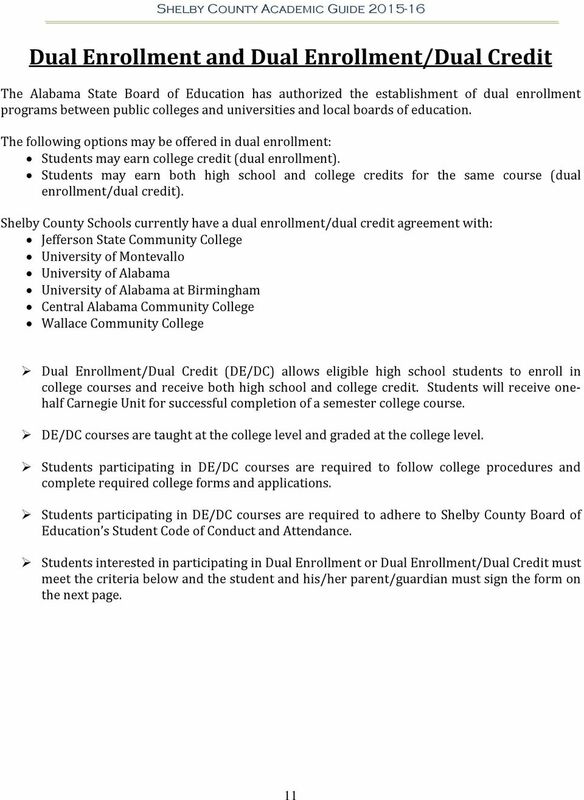 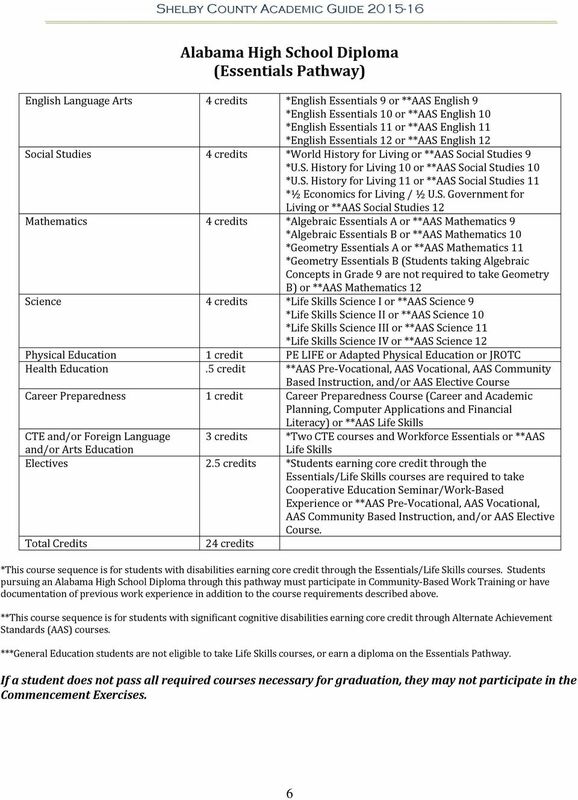 Included you will find course requirements, graduation requirements and other course information. 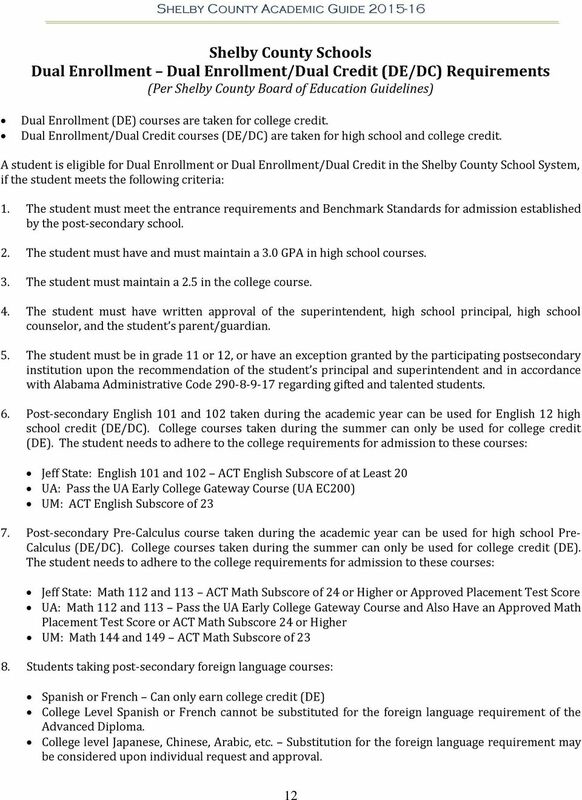 Careful steps should be taken in planning the student s high school courses. 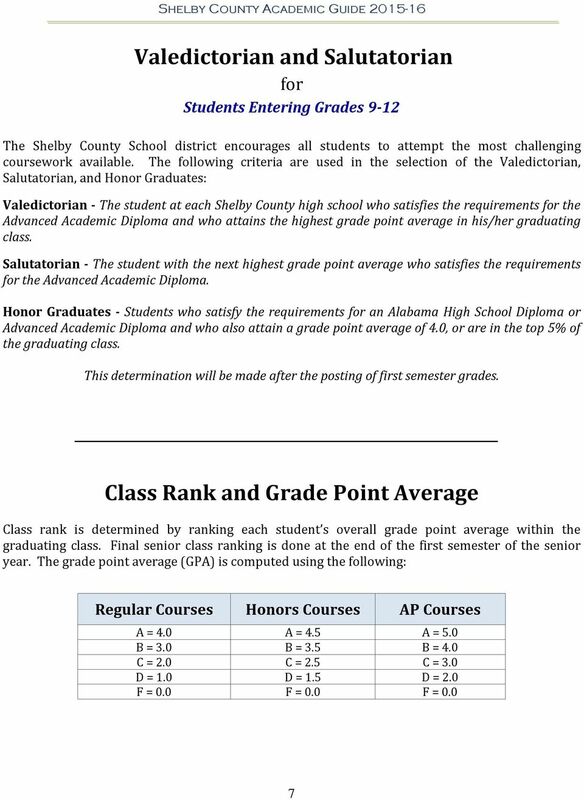 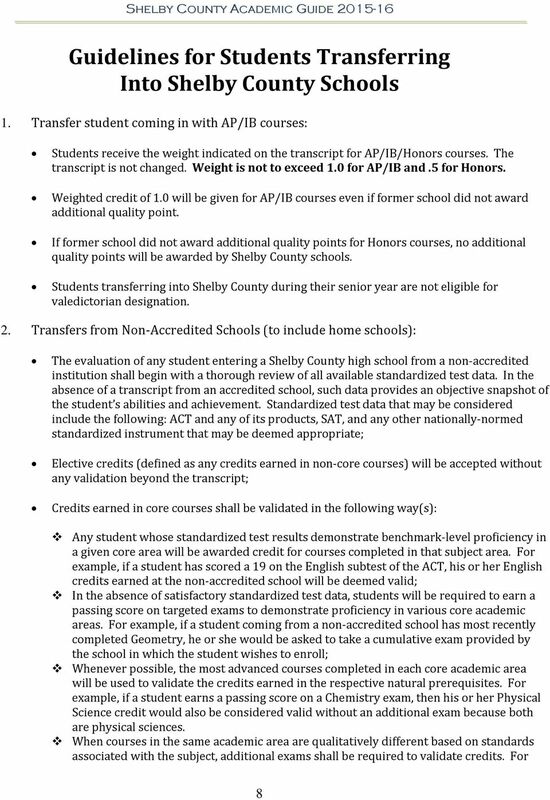 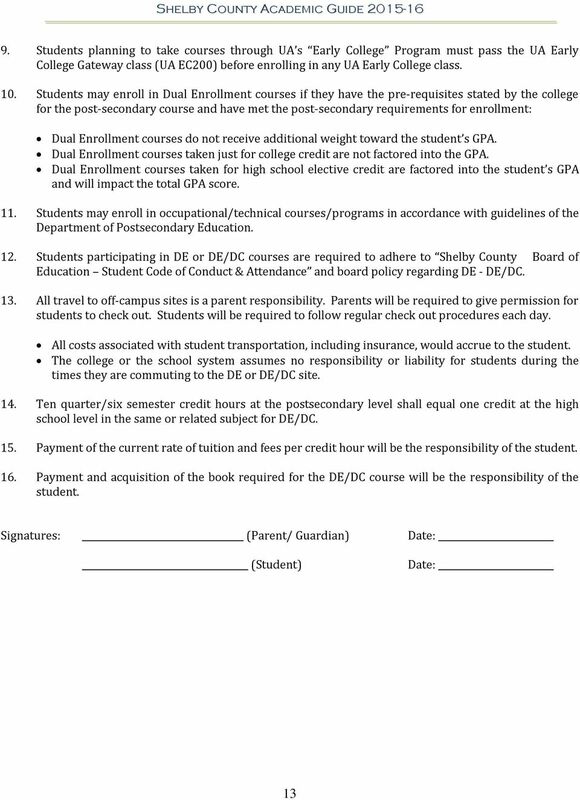 After a diploma option has been chosen, students and parents still need to review progress on a yearly basis ensuring that the student is on track to graduate and to adjust should the student s goals change. 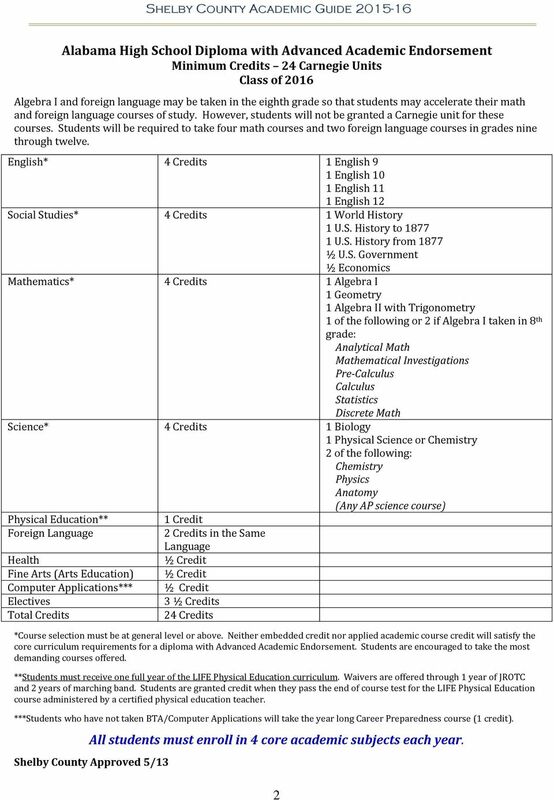 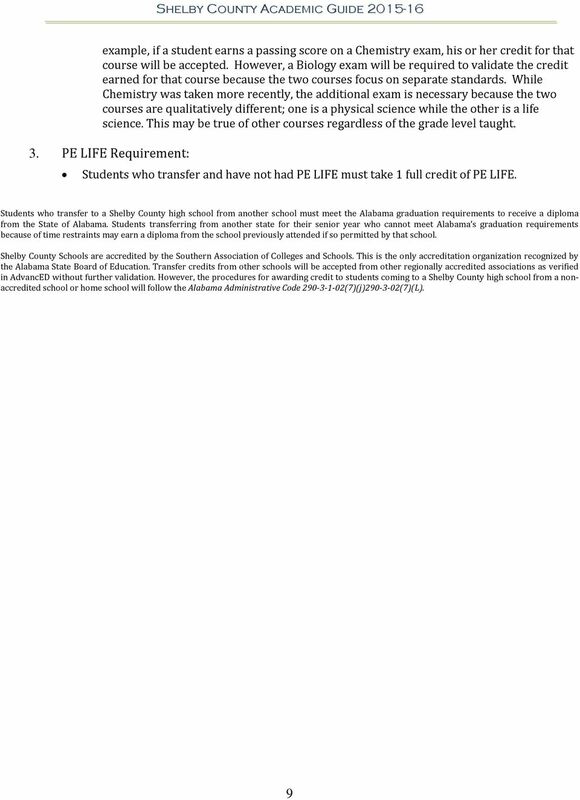 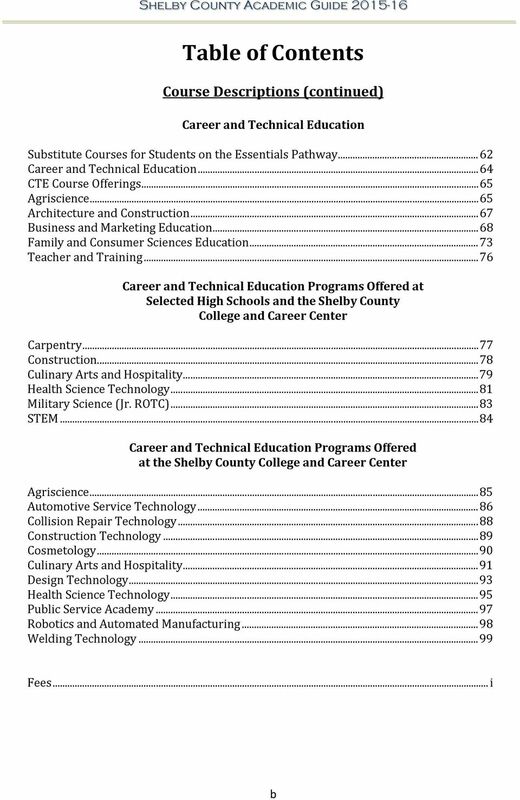 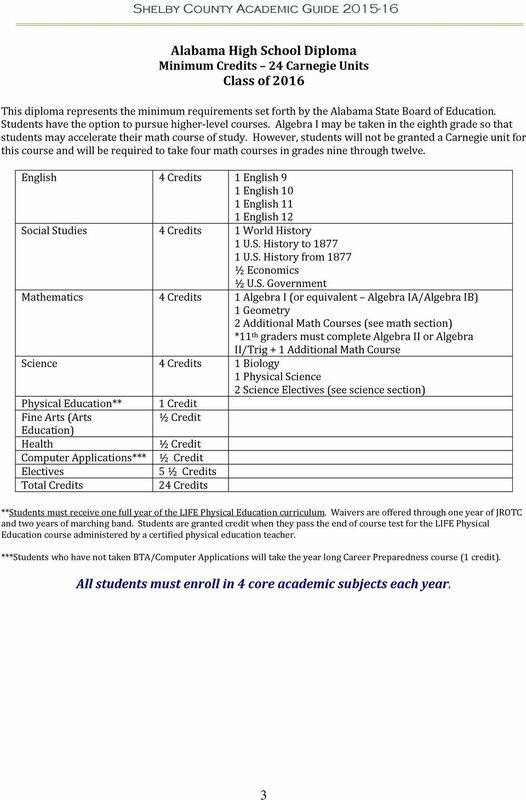 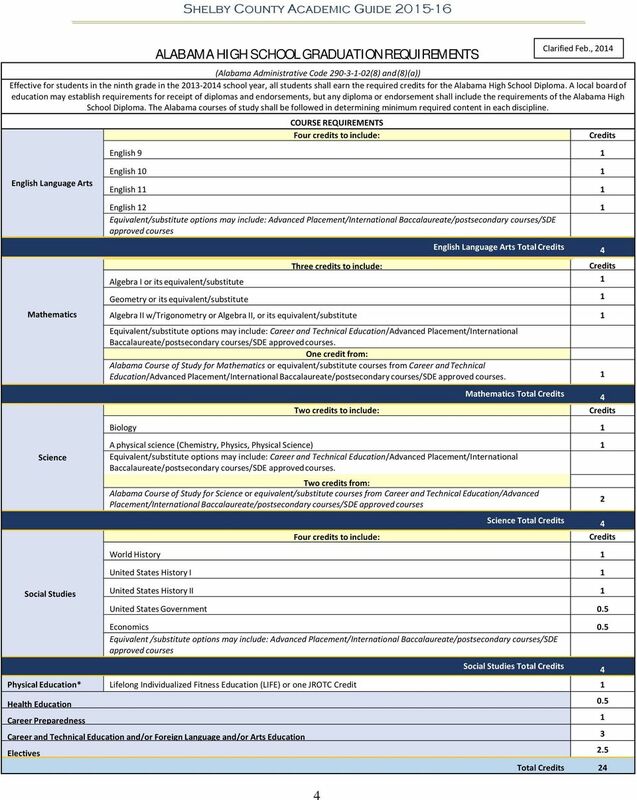 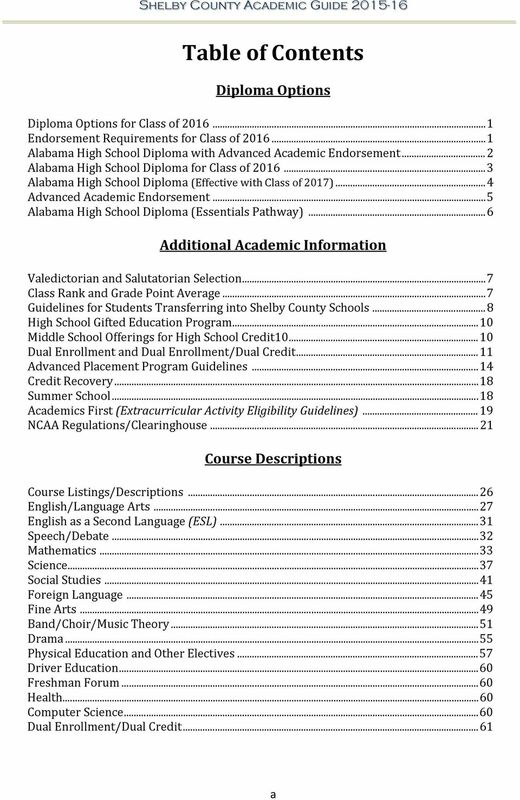 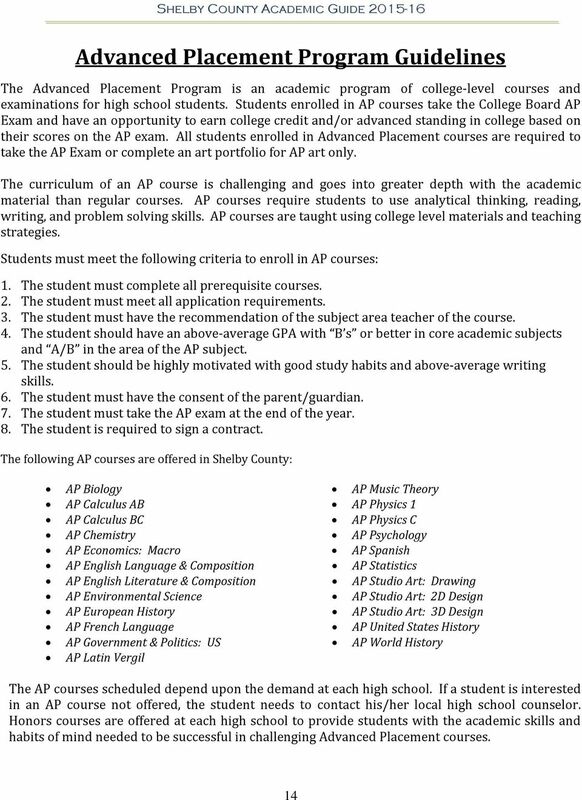 Oak Mountain High School Curriculum Guide 2015-2016 OAK MOUNTAIN HIGH SCHOOL CURRICULUM GUIDE 2015-2016 5476 Caldwell Mill Road Birmingham, Alabama 35242 Office: (205) 682-5200 Fax: (205) 682-5205 Dr.